Something out of the ordinary happened to me last week that I’ve talked about with a few of the coaches and mentors I surround myself with. They got me to reflect on the experience and learn from it. Hopefully it might be of use to you. I thought it had some relevance to business development and sales teams, marketeers, and brand builders especially – but also for any individual or organisation who wants to grow sustainably. Several years ago I was contacted by someone who one could say is very well connected to the ‘rich and famous’ – with a very particular type of address book. She was in search of coaches at the top of their game she said. My number had been passed on by an author who rated my work and had recommended she approach me. And so I was introduced to applying my craft in a new way, and eventually featured in YOU Magazine – which was a tad different to previous articles Spring had had published in industry press – see below. I’d done some private client coaching before and some pro bono projects, alongside my core work within Blue-Chip organisations. I loved it. And in many ways, isn’t so very different. The starting brief might vary or how you measure the outputs – how you get the results though is where the two coaching fields merge for me, especially when I take such an eclectic route to creating change. My mantra from the outset of founding Spring has driven the growth of the business and services provided… and that is to “deliver to such a degree that every client will hire us again and recommend us.” It has been said that Marketing is for the unremarkable – so we’ve avoided it and let our clients speak for themselves. And it appears that way of doing things has been valuable over the years – it’s working. It’s important to me too. I value high quality and tangible results. My parents always taught me to do things well first time – “a stitch in time saves nine.” And to always buy the best my pennies could afford and then make things last – because “if you buy cheap, you buy twice!” Their post-war ‘waste not want not’ ethos rubbed off. Enough with the sayings now I hear you say?! Honing a service that means people talk about it, keeping calling you years after and tell their friends breeds longevity. I like long term relationships – I’m not into one hit wonders – sorry another saying creeping in there. 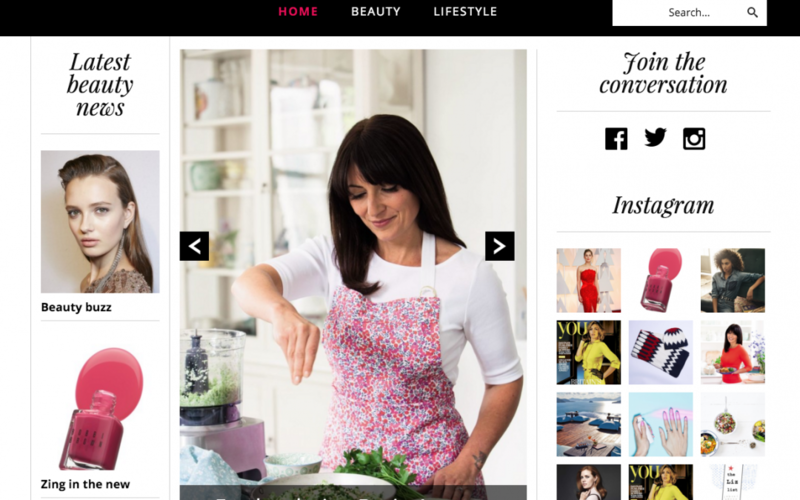 Now being featured in YOU Magazine caught me unawares. A client had said she was talking about me with the Editor of YOU and would I mind being included in some fashion? She and someone else gave them a sense of the difference our coaching had made to her life – it was transformational. I love that word. It evokes so much. I agreed, kept in touch and thought that was the end of it. 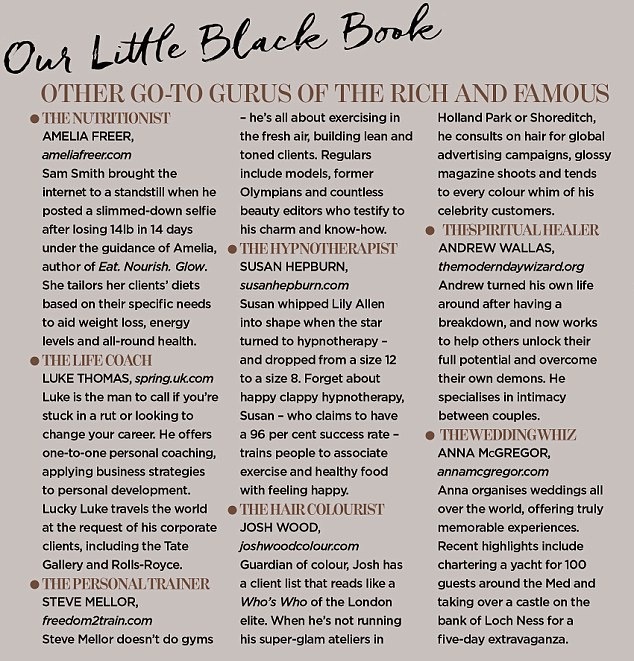 Until nearly a year later a friend tweeted me having spotted the little black book section of this week’s YOU magazine – in connection with a Plastic Surgery article. I have nothing to do with Plastic Surgery yet the Spring Team and myself certainly work behind the scenes as a parallel. We might not lift a scalpel yet we’re continuously working on confidence, limiting beliefs, mindsets, personal brand, and helping people be happier, more productive and effective in their life and work. And the polarity of the performance shifts can be anything from increasing sales results by millions of pounds, through to sleeping better or communicating confidently with colleagues and friends. More about all that here. [www.spring.uk.com] I wouldn’t even call myself a life coach either – I cringe at that title because of the number of people who receive poor service from ‘life coaches’ in a fast growing and unregulated marketplace – just like happens with poor cosmetic surgery. Yet ultimately, it doesn’t matter what my title is, it’s about the end results achieved and getting there in a high integrity way. And as with Alex Karidis featured in the main article itself, it’s only a top quality service that is good enough. So that’s how our latest National PR came about without so much as lifting a phone to an editor or requesting a forward features list. Satisfied clients did the whole thing – and that is extremely satisfying. It has strengthened my resolve to keep on honing and polishing what I do myself and with Spring, in the endless pursuit of quality.